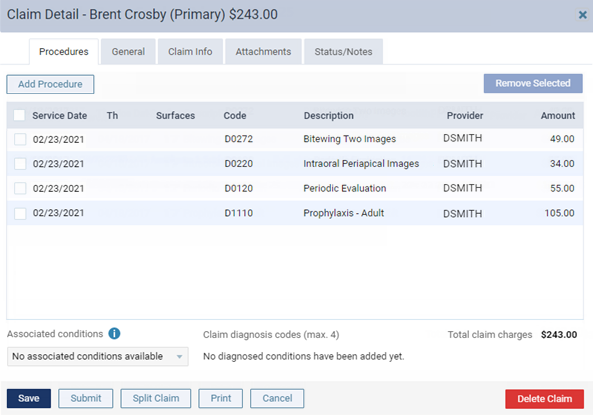 You can print claims that were created previously but not sent to insurance carriers. On the Unsent Claims page, click (or tap) a claim. Claims displayed in the color green have a Ready status. Important: Fix the problems for claims with a Warning (yellow) and/or Needs Attention (red) status before attempting to print the corresponding claim. To view and edit claim details, click (or tap) a claim. Click (or tap) Print to create a .pdf file of the claim. Printing Claims Error: an error has occurred.